PA State Rep. Rosemary Brown - Are You Going to STASH to Avoid a CRASH? Are You Going to STASH to Avoid a CRASH? Dr. Martin Luther King Jr. was a true American hero. He suffered through adversity and a condemning society to fight for a stronger, peaceful, unified nation that would be free from discrimination and full of love, equality and acceptance. Today, Dr. King is memorialized by monuments, street names and a national holiday – these are all tributes to the man and a constant reminder of what can be accomplished and what still lies ahead for us to achieve. He may not have seen the completion of his dream, but he helped forge our collective path to get there. 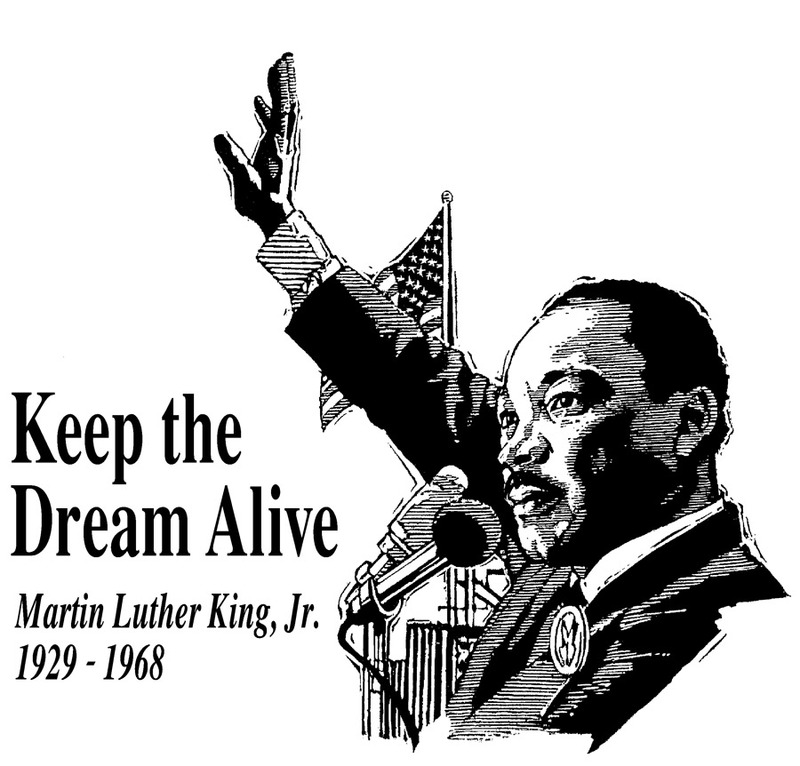 *Please note that PennDOT Driver License Centers will be closed in observation of Martin Luther King Jr. Day. I want to continue highlighting the major distracted driving issue, not only in the Commonwealth but throughout the nation, by launching my “STASH and Avoid a CRASH” initiative. This initiative coincides with my distracted driving legislation, which I have recently reintroduced. The goals of “STASH and Avoid a CRASH” are to encourage the public to store their cell phones in their glove compartments in the hopes that it will curb drivers from using their cell phones while driving their vehicle and promote overall driving safety. 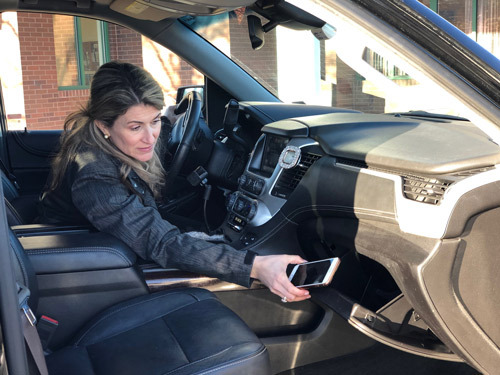 While cell phones are safely stashed in the glove compartment, drivers will still have the ability to accept or deny phone calls via their car’s Bluetooth technology. Additionally, should drivers need their cell phone to serve as their GPS it is suggested that they purchase a docking station that attaches to their dashboard, so their cell phone remains out of their hands. As mentioned above, I have also reintroduced my hands-free driving legislation to prohibit calls on hand-held mobile telephones in Pennsylvania, except with the use of hands-free accessories, while operating a moving motor vehicle. Also, no person under the age of 18 years of age would be permitted to use ANY hand-held mobile telephone, including one with a hands-free accessory while operating a moving motor vehicle. The punishment for violating this law would be a $200 fine, with $175 of that fine going to a Distracted Driver Fund to help educate young drivers on distracted driving and its consequences. Too view the co-sponsorship memo for this legislation click here. I am taking the pledge to “STASH my phone to avoid a CRASH” and I hope you will do the same. 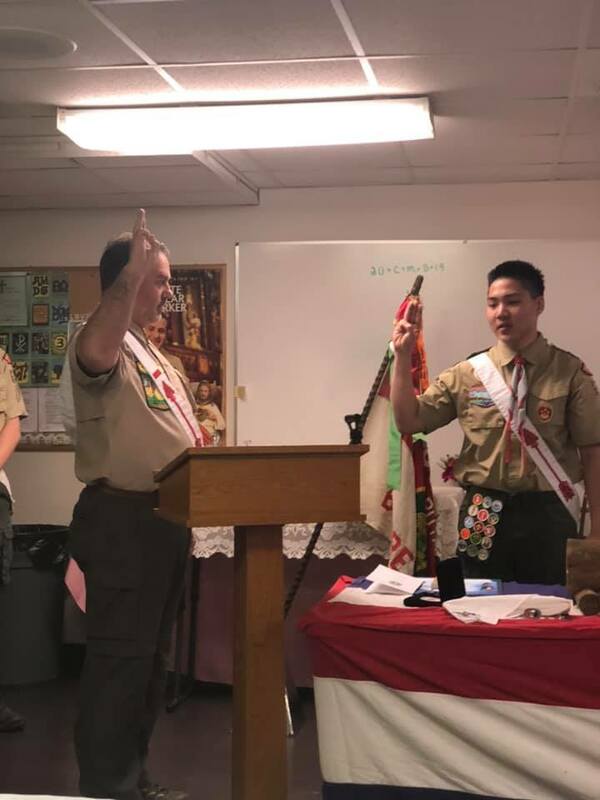 It was a pleasure to celebrate my district’s first Eagle Scout of 2019 last weekend - Richard Kim! Richard renovated the concession stand at Barrett Township Park as his final project. Congratulations to Richard as well as his parents, Crystal and John, on this tremendous accomplishment! 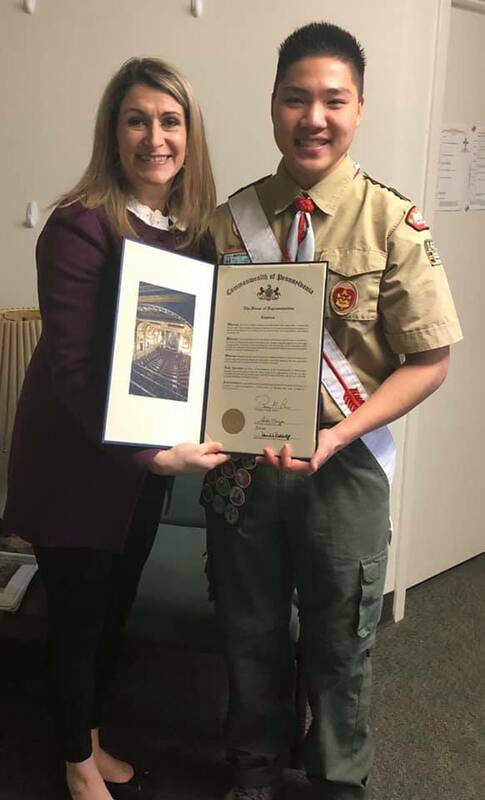 A special thank you to Troop 89 and all their volunteers for dedicating themselves to developing strong character and skills in our young men. I had the pleasure of having Patrick McDonnell shadow me for a few hours in my district office last week. 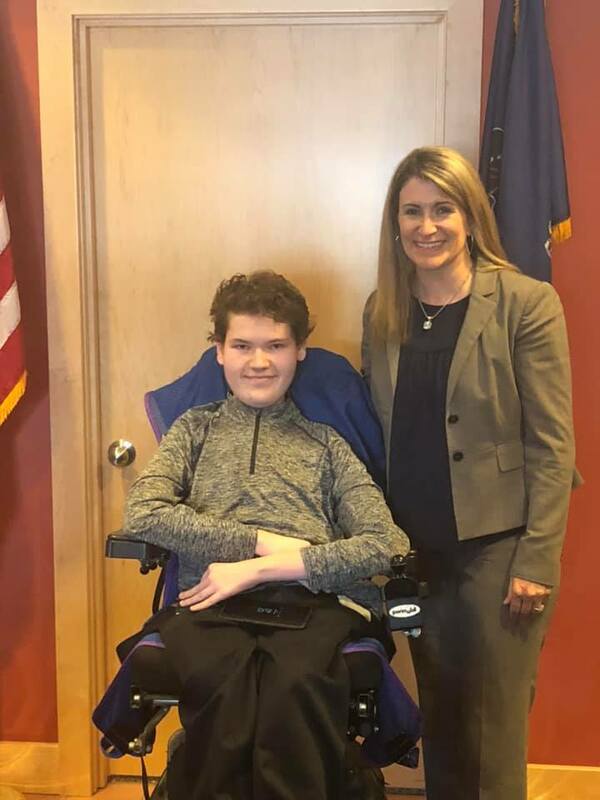 Since Patrick has an interest in political science and is deciding on his college education coursework and career, he spent the day attending several meetings with me. These meetings consisted of topic such as educational issues, law enforcement, state budgeting and Lyme Disease. It’s important to expose our youth to areas of interest as they make important educational and career decisions. Lehigh Valley Hospital (LVH)-Pocono and representatives of the Advisory Committee of community members, chaired by Mark Primrose, who formed to assess the future of the Hospice House and hospice services in Monroe County announced this week that inpatient hospice care will resume at the House. 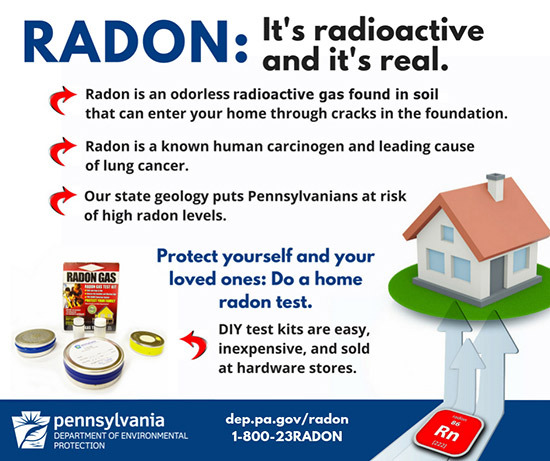 The service will return to the facility at 412 E. Brown St. in East Stroudsburg depending on regulatory approvals from the Pennsylvania Department of Health and how quickly staff can be hired. The Advisory Committee was announced in May and given 90-days to explore options related to the Hospice House and the hospice program. Following the Committee’s recommendations, LVH-Pocono officials reviewed the suggestions and worked with Committee members to determine clear steps that would make operation of the house viable both now and in the future. According to the Committee’s recommendations, the basic costs of reopening and renovations would be covered by LVH-Pocono. Multi-year philanthropic funding would support new beds, required equipment and some operating expenses. The Committee also recommends building referrals and increasing community awareness throughout Monroe County and northeast Pennsylvania. Going forward, Hospice House and hospice operations will continue to be scrutinized, with formal evaluations every six months and an intensive review at two years. The financial viability and sustainability of Hospice House must be realized. 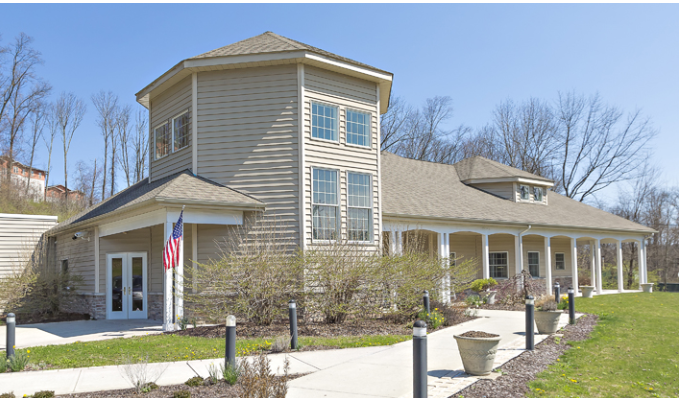 The Committee also announced that an open house for the community will be scheduled in the near future as the efforts to resume inpatient care at the Hospice House continue. Hospice House has remained open since April for community activities. For example, LVH-Pocono hospice services has continued to support families at the house by establishing a Hospice bereavement and community support center. Community members and organizations have the opportunity to use the facility for spiritual, educational and other activities. If interested, please contact my office at 570-420-8301 no later than Friday, Feb. 15. Candidates must also apply online at employment.pa.gov in the “Summer Maintenance Program” category under the Open Jobs section of the website.